Congratulations! You've just made the first step towards a healthier lifestyle and body weight. Just by clicking on this link, you've shown that you're interested in making some positive changes. The next step is a comprehensive nutrition, health and lifestyle assessment to help you set your nutrition goals. This is the best way to provide you with healthy eating advice and strategies tailored to your individual needs. Learn more about working with Leslie Beck. Please call my office at 416-926-2698 ext. 3 to book an appointment or go to www.dietitians.ca to find a registered dietitian in your area. In the meantime, here is some information to help you get started. Making change isn't easy for many people. But the benefits of a leaner and healthier body and improved energy and self-esteem levels, will make it worth the effort. Instead think permanent changes to your eating and exercise habits. A diet is a short-term process often accompanied by feelings of deprivation and hunger. People who go on "diets" often end up thinking about food all the time and bingeing. Drinking 1% instead of 2% milk. Trimming skin from chicken and excess fat from meat. Having fruit for dessert instead of cake or cookies. Substituting after dinner snacks with a mug of tea or light hot chocolate – it takes longer to drink a hot beverage than it does to eat a handful of cookies, and it fills your stomach better. A reduction in blood pressure, blood cholesterol if your numbers are high. If you do choose a weight, pick a 3 to 5 pound target weight range, not one single number. I call this your buffer zone. Don't think that what you do to lose weight will be different than what you do to keep it off. Weight loss and weight maintenance are one and the same; to keep those unwanted pounds off you must make permanent changes to your diet and lifestyle. A diet that is too low in calories can slow down your metabolism, making it harder to lose weight and easier to gain. Plus, it's not a sustainable way to eat and you won't develop the skills needed to help you maintain your weight loss. This may be one of the most powerful weight loss tools around. When you write it all down, you're more likely to make healthy food choices. Studies show that people who keep track of their food intake lose some weight, even when they were not intending to. Seeing on paper that you've had ice cream 4 days in a week is hard to ignore. A food diary will also remind you of what you might be missing out on -- you'll see in black and white that you aren't eating enough fruit or that you aren't drinking enough water, for example. Everyone is different and what works for one person isn't necessarily going to work for someone else. To promote a healthy weight and a healthy body, a diet should be moderate in protein, moderate in healthy carbohydrates and high in fibre. It should also fill and satisfy you without relying on huge portions at meal and snack times. Not only does fluid keep you well hydrated, it also fills your stomach, leaving you less likely to overindulge. Drink two cups before each meal. This fibre forms a gel in your stomach and makes you feel fuller. Foods such as oatmeal, psyllium-enriched breakfast cereals, barley, legumes and eggplant are good sources. Don't go longer than 4 hours without eating. A mid day snack will boost your energy level, help prevent sugar cravings and take the edge off your appetite before your next meal. Think protein and healthy carbs. 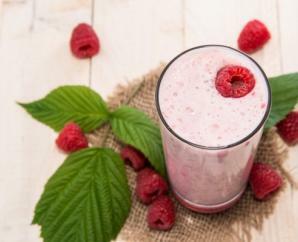 Good snack choices are yogurt and berries, fruit and nuts, homemade smoothies and fruit and cheese. Don't be fooled by "fat-free"
Check labels carefully as many reduced fat snack foods are similar in calories to the regular fat version. If you've really got to have it, consider eating a smaller portion of the real thing. Studies show that people tend to eat more fat-free foods compared to the regular fat version. Portion control is the key. Exercise boosts your self-esteem, burns calories and increases the rate at which your body burns calories. Adding resistance training also helps preserve mucle mass as you lose weight. Enlist support from those around you -- a spouse, a friend or a coworker. Whether you need a walking buddy, motivating comments from friends or your spouse to stop bringing high fat treats into the house, support helps you keep on track.